The prisoner he held as a traitor becomes the spy that captures his heart. Second place winner in the prestigious Sheila Award contest. The spark from a single candle can light a sacred flame . . .
From award-winning and bestselling historical fiction author Jessica James comes another tale of romance, espionage and intrigue. 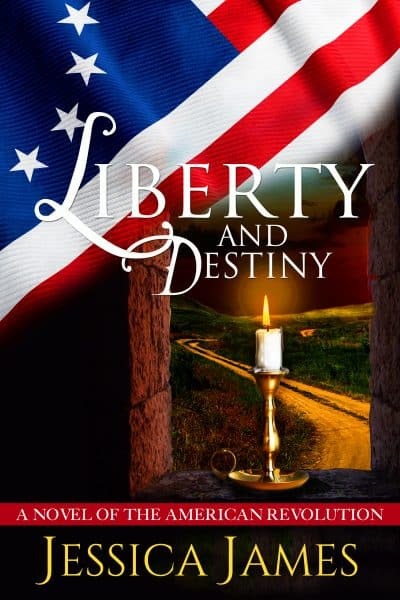 Two patriots show their devotion to freedom as they struggle to survive in a war-torn country full of deceivers and spies during the American Revolution. This poignant novel follows two Patriots to a gripping climax when one of them is discovered to be a spy and the other is lured into a British trap. There would be no quarter for either of them—or any of them. They wouldn’t be fighting to hold ground, but to survive. Safety lay in victory alone.